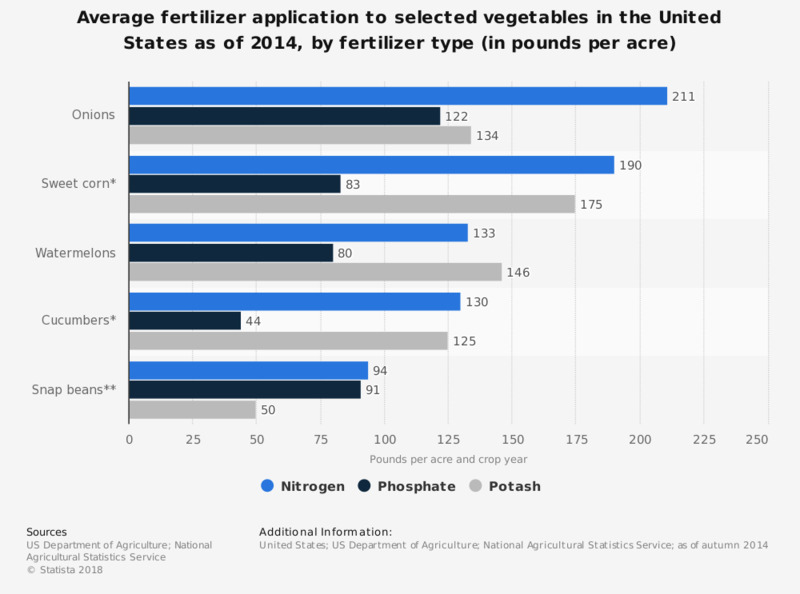 This statistic represents the average annual fertilizer application in pounds per acre to selected vegetables in the United States as of 2014, sorted by fertilizer type. In that year in the U.S., the use of nitrogen fertilizers on onion crops amounted to an average of 211 pounds per acre. Data are for the 2014 crop year, the one-year period beginning after the 2013 harvest and ending after the 2014 harvest.